What are astrological benefits of worshiping Lord rama, how lord rama helps in marriage, health, job, education problems, do check in astroupay. Health: You can get benefit in health related problems if you worship lord Ram. You can chant morning-evening 108 times or you can worship through all day. It relives you from health issues. Marriage: Men or women do not get marry or if you’re facing problem in marital life then you can chant Ramapati name of Ram. It gives you wonderful result. It relives every problem in your marital life. You can also do meditation of Shri Ram and goddess Sita before chanting the mantra. It gives you wonderful result. Job/Business: If you’re facing problem in getting job or business then you can chant Avadesh name of lord Ram. It is very beneficial and you’ll get rid from job/business problem. If you chant his name like hymn then it gives you immediate benefit. Education: If you’re facing problem in concentration or education then you can chant Raghunath name of lord Ram. If your child is small then you can chant this name in front of him. It increases child’s concentration. You can also chant this name through the day. Children: If you’re facing problem getting child then you can chant Kauhsalnandan name of lord Ram. It is quite beneficial. You must have to chant 108 times his name in morning-evening. Write this name on big yellow paper and stick on your bedroom. It is fruitful to meditate the child form of lord Ram. 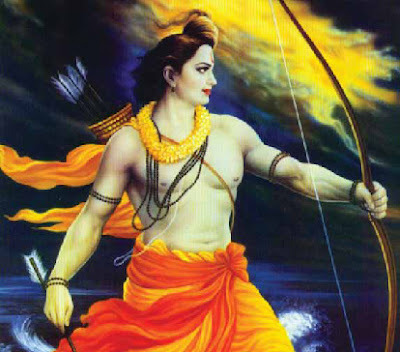 Money: If you’re facing financial problem then you can worship lord Ram. You must have to worship his Ram name at the middle of the night for 108 times. Remedy: If you worship any name of Ram then you must have to use Tulsi or sandal rosary. It is very beneficial.